You have to be pretty naive to be a Christian in today’s world. This thought strikes me frequently and no more so than during the season of Lent. Lent is that season especially dedicated to penance and spiritual self-renewal and every year I treat my Lenten penances as a sort of Catholic version of New Year’s resolutions. This is the year that I am going to finally rid myself of that troublesome vice. This is the year I am going to improve myself beyond that pattern of sinful thought. This is the 40 days in which I will finally mortify my flesh sufficiently and begin living a saintly life. And while Lent has undoubtedly been good for my soul, it so often falls short of my expectations. Most of my pet sins remain. Most of my largest spiritual struggles are still exactly that, entrenched in my soul as they always have been. This year my self-renunciation is aimed at a spiritual trouble spot that I have been attempting to reform for years. For years. I am naive to think that this Lent will be any different, any better. It is naive to think that, after falling 70 times seven times, this will be the time I get up and stay up. Our society is faring no better than I am in its battle against its demons. The problems that have always plagued us plague us still. Columbine was 18 years ago and yet more children than ever are victims of a violence that back then was unthinkable, but now habitual. The sirens about the terrors of climate change have been sounding my entire life; now they are here, with Cape Town set to run out of water in mere months. Dorothy Day died in 1980, and yet her country is more inequitable and more violent than when she departed from it. Yet so many people — faithful people, and people of good will — continue to work and march and witness against injustice all the same. We are naive to think that we can fix our broken world. It is naive to think that, after failing to heed the warning signs and to learn from the pain for so long, that now is the time things will change. But here I should confess that I do not consider naiveté a bad quality, especially when it is not something we possess without realizing it but rather something we specifically cultivate. To be naive means to be simple and a little foolish, and it is sometimes simple foolishness that gives us the courage to persevere. For all the darkness that surrounds us in our lifetimes alone we have seen miracles happen. For all the darkness that fills me I can think of some demons I have beaten, some sins I have shaken. Naiveté, when chosen, when specifically engendered within ourselves, is the antidote to a cynical word. It means trusting people who are not trustworthy. It means forgiving someone you have already forgiven a multitude of times and believing this will be the last time you will need to. It means thinking they will be better this time. It means thinking you will be better this time. But this foolish, simple belief is what makes the space, what gives the time for true repentance to occur. Our act of believing translates to endurance in the face of failure, and it is the very thing that helps bring about the conditions for change to be realized. It takes a lot of telling to make a city know when it is doing wrong. However, that was what I was there for. When it didn’t seem to help, I would go and look at a stonecutter hammering away at his rock perhaps a hundred times without as much as a crack showing in it. Yet at the hundred and first blow it would split in two, and I knew it was not that blow that did it, but all that had gone before together. When we look at all the realities of our corrupt world, at our corrupt selves, and choose to try again anyway, we are being naive. But in just such instances, when we choose it freely, ‘to be naive’ means the exact same thing as ‘to have hope.’ And unlike the occasional unsuccessful Lenten resolution, hope is something that does not disappoint. 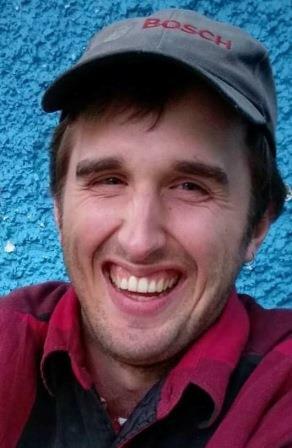 Steven Cottam serves as youth minister at Our Lady of Lourdes Catholic Church. He lives in the Church Hill neighborhood of Richmond, Virginia, with his lovely wife, adorable daughter and very strange dog. He is an active member of Common Change, a group which seeks to gather and distribute tithe money in a relational and collaborative way. He has been friends with Sister Julia ever since they were students, coworkers, and cooking club members together at Catholic Theological Union in Chicago. His interests and passions include Aikido, gardening, coffee, and becoming a Jedi Master. Last week, I had to buy a dining room table. It is the first time I’ve ever done so and to be honest, I was loathing the very idea of it. I am not the home decorating type, and for the vast majority of my life most of my furnishings have consisted of what my parents gave me or what I could cobble together from thrift store clearance sales. But my wife was insistent that in our new home we were going to have a room into which we would want to invite people into. A place where people could be hosted and fed. The space needed a table worthy of the welcome. As we sat staring into the empty dining room and thinking about the idea, I was surprised how the conversation about a piece of furniture became philosophical so quickly. “Okay … so what kind of table do you want?” I said. The conversation went on for a while longer, but at every turn I realized that for my wife this was about far more than a table. It was about warmth and welcoming, about fellowship and feeding friends. She wanted to serve, and to accommodate the needs of all. She had joy and welcoming in mind, but it was going to take a table to help those things unfold. Excited to serve hospitality around the new table (image courtesy of Steven Cottam). I realized through this conversation that far too often my love of people is an abstract, theoretical love. I frequently think about what it will take to get “more people around the table” in the sense of making my ministries and my work more participatory, more democratic. But rarely do I make it as simple as just making sure everyone is literally invited to be around an actual table. My desire for hospitality rarely comes down to the details of making sure everyone has a chair that fits and enough elbow room. However, these mundane details are in many ways the actual work of hospitality. Dorothy Day once wrote in The Catholic Worker newspaper, “Paperwork, cleaning the house, dealing with the innumerable visitors who come all through the day, answering the phone, keeping patience and acting intelligently, which is to find some meaning in all that happens – these things, too, are the works of peace.” No great work on behalf of the Kingdom is ever accomplished without a lot of little tasks along the way. As they say of the devil, the Gospel is in the details. So our table is on the way. It’s a huge, farmhouse-style table that measures over 8 feet long when all is said and done, and it’s nearly going to burst the seams of the room. Next comes extending invitations to guests, both those we now count as friends and those we hope will become friends through the sharing of food, time, and stories. And this requires not only good intentions but also actually cooking and cleaning, holding doors and taking coats. And I hope through it all I can learn what my wife already intuitively understands – that if I want to do something as lofty as fill hearts with gladness, then I must be willing to do something as basic as fill cups with coffee. My husband and I recently made the difficult decision to open our guestroom to a family experiencing homelessness in our community. We heard about a mother, father and their infant who were living on the streets and in dire need of help. A member of my husband’s congregation posted on Facebook that the family, whom she had known for quite a while, were looking for a place to stay. Though she herself would have loved to take them in, she had family visiting and no extra space in her house, so could someone please help? I couldn’t ignore her desperate plea for somebody with a spare room to step up and get the family off the streets. You see, we have a wonderful guestroom in our house and it just so happened to be unoccupied at the moment. Our guestroom is the “master bedroom” of the home, a converted garage with plenty of space and an en suite bathroom. When we bought our house nearly five years ago, my husband and I envisioned this space to be our “Jesus Room.” In the spirit of one of our heroes, Dorothy Day, we wanted a dedicated hospitality room into which we could welcome Jesus in the form of “the least of these.” But the refugee resettlement organization I contacted regarding transitional shelter needs never followed through on their home inspection process … and our family and friends kept visiting … and our lives were busy. Eventually, the sense of urgency we’d felt to utilize the space for God’s poor subsided. When I heard about the family living on the street, I knew this was our chance to finally make our guestroom a true Jesus Room. Here was an opportunity to practice the radical hospitality that we believe is fundamental to Christianity. But, here’s the thing: I really didn’t want to. As I scrolled through the Facebook post, hoping to no avail that somebody else would volunteer, I became increasingly apprehensive. I came up with an unholy litany of reasons to say no: Our house isn’t big enough for seven people; our schedule isn’t very flexible so we won’t be able to help them get to their appointments; I don’t want strangers sleeping in the same house as my two young daughters. It’s reasonable, I think, to be hesitant to bring strangers into a home with young children. But, as I previously reflected, I don’t want to use my daughters as an excuse to abide complacently in my comfort zone. In my heart, I did not believe that allowing this family to stay in our guestroom would put my daughters in danger. What, then, was my excuse? That it made me uncomfortable? Unfortunately, I concluded long ago that following Jesus is supposed to be uncomfortable. So, my husband and I put the word out that this family could move into our guestroom. Since they did not have a working cell phone, we had to trust that their network of friends in the community would get the message to them. Meanwhile, we frantically cleaned the house; we bought baby food, diapers and extra sandwich fixings; we came up with a plan for establishing appropriate boundaries with the family. On an impulse, I hid our iPad, and hated myself a little bit for doing so. For most of a week we wondered when and, eventually, if the family would arrive. Finally, they showed up at a community supper and we learned they’d found some other friends to stay with. They would not be needing our Jesus Room after all. I was both immensely relieved and acutely disappointed. On the one hand, our daily routine would not be disrupted. On the other, we hadn’t gotten to practice the Christian hospitality we so revere (at least in theory). It’s not something I’m naturally good at (as demonstrated by my knee-jerk reaction of finding reasons to say no), but this experience has helped me to practice hospitality—to practice preparing my home for a stranger, to practice making the decision to step out of my comfort zone, to practice being welcoming in a Christ-like way. And, as with anything, the more we practice the better we become. Not only do I feel a renewed sense of urgency to make a Jesus Room out of our guestroom, I feel confident that when I’m faced with another opportunity to “welcome the stranger,” I will be less hesitant to say yes. Perhaps, one day, I’ll even be able to say yes with a fully cheerful heart as Paul instructs us, in 2 Corinthians 9:7, to do. Until then, I take comfort in the knowledge that—while I am a far cry from a perfect Christian—I am at least a practicing one. 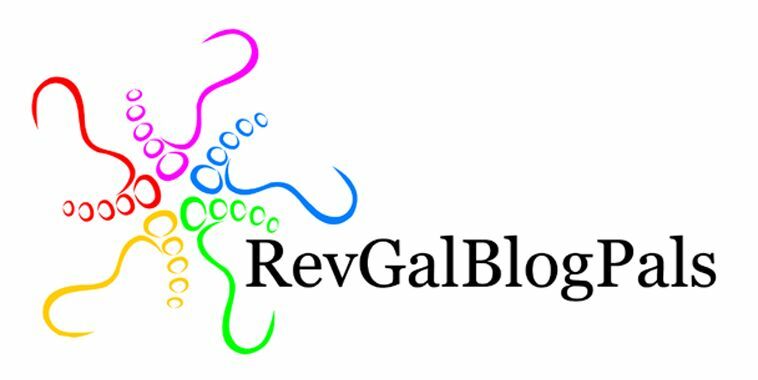 Nicole Steele Wooldridge is a friend of Sister Julia’s who writes from the Seattle, Washington, area. Her Jesus Room is still just a guestroom … for now. I had a knot in my stomach all day. I couldn’t focus at work. I lost my appetite. I felt exhausted as soon as I woke up. My mind was running with a thousand scenarios of things going wrong. I became keenly aware of that familiar feeling: a low-grade but persistent anxiousness; a lump that sits somewhere between my heart and stomach warning me of something to be feared; an impending lack of control. It was March 1, 2017. Ash Wednesday. For the past three weeks I had been meeting with fellow community members of the Minneapolis Catholic Worker and our friends from the Mennonite Worker to plan a vigil and direct action. Our intent was to lovingly, but boldly, address the American Catholic Church’s reluctance in naming the xenophobia and racism that have characterized Donald Trump’s presidential campaign and presidency. We sought to implore Archbishop Hebda and the Archdiocese of St. Paul and Minneapolis to release a public statement directly addressing the rise of xenophobia in our Church and society. With my mind and heart racing amidst a cascade of doubts and fears, I felt like I had missed the memo. The seeming difference between my anxiousness and their prophetic conviction was laughable. I wondered about Dorothy’s doubts and Dan’s fears. Did they have them? Or had God given them some kind of divine courage for holy conflict that rendered their doubts and anxieties obsolete? And, most importantly, when will God give that to me?! As a white Midwesterner, conflict avoidance is my cultural bread and butter. Growing up, tension or disagreement were to be feared and resented. They were signs of something gone irrevocably wrong; something over which to feel tremendously anxious. Yet here I was, about to help manufacture an almost-assuredly tense situation within a Church I call home. I found myself doubting, searching in vain for Dorothy-like divine courage. Is this worth it? Am I doing the right thing? Is the conflict, the worry, the anxiousness necessary? While I wrestled with these doubts, fears and questions, a small inner voice (which I often resent) assured me that Jesus’ answer would be a resounding “Yes!” It’s become painfully clear to me I cannot claim to be Christian and deny Jesus’ call for direct action, which leads to inevitable conflict and anxiousness. While it’s incredibly important for me to take care of myself and not stretch beyond what I can handle, Jesus’s social vision clearly calls the most comfortable of us into discomfort. As in Mark 10: 17-27, Jesus did not lovingly challenge the rich, young man to give safely within the confines of comfortable charity but to relinquish all his wealth for the service of others. The bishops’ behavior is tragically similar to the conduct Jesus condemned at the temple within his own religious tradition. Their silence is proving lethal. President Trump has engaged in an unprecedented campaign of intimidation and violence directed at many of the most oppressed and marginalized. Much of his executive action is in direct contradiction to the core of Catholic social teaching. In an attempt to follow Jesus’s call into discomfort and to mirror the loving tension he manufactured within the religious institution he called home, I came to see our Ash Wednesday action as not only necessary on a political level, but completely in line with my Catholic identity. I have also come to see the inevitable anxiousness as not only necessary but also sacramental. While I must be aware of my limits and the reality of unhealthy anxiety, especially in the form of mental illness, I see some level of anxiousness as a gift; a signpost on my journey toward Christian discipleship. An indication that—with God’s help—I can to learn to embrace fear and then to let it go. We pulled up to the Cathedral of St. Paul during the evening Ash Wednesday service, gathered our equipment, took a deep breath and were off. We ran up the stairs and leaned extension ladders on the two large marble pillars framing the cathedral’s front door. Two Catholic Workers ascended the ladders and hung a large banner reading “Speaking up for unborn lives more than black and brown lives is white supremacy – #silenceissin” across the door, calling on Church hierarchy to condemn racism and xenophobia with as much tenacity and consistency as it does abortion. Before leaving we sang a beautiful but haunting rendition of the Kyrie. As the doleful melody rose into the snowy sky, I felt the anxiousness drain from every limb of my body. What replaced it was a confident calm and deep joy. In that brief moment, I felt the fortitude of Dorothy and Dan within me. I let the cold air slowly fill my lungs, breathing out all the tangled thoughts, unraveling the knot in my stomach. The anxiousness died and resurrected, transformed within me. Another deep breath. I was right where God was calling me to be. Archdiocese of St. Paul & Minneapolis Bishop Bernard Hebda makes reference to these events of Ash Wednesday in the March 9 edition of “The Catholic Spirit.” Read it here. 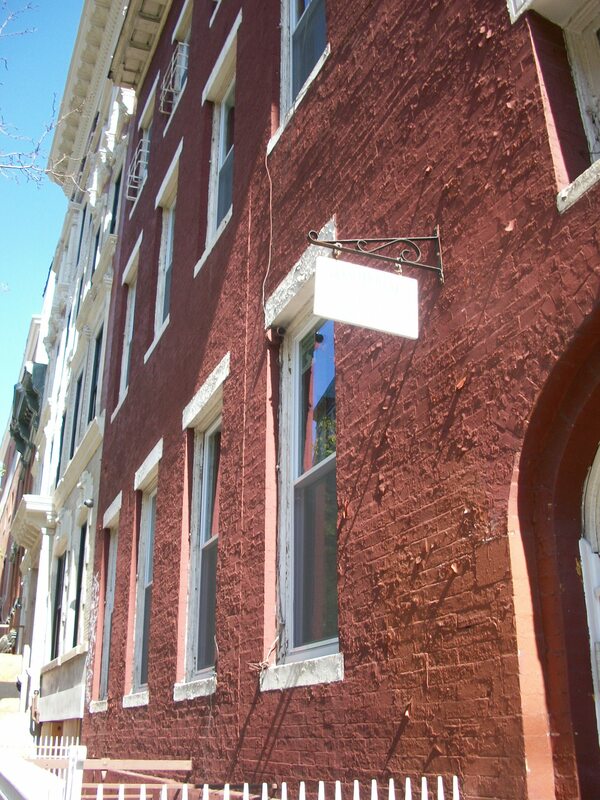 One evening in May I sat on windowsill in the room I’d recently moved into at New York’s Maryhouse Catholic Worker. With legs folded into the frame, I watched a little window of sky that subtly made the dramatic shift from pale yellow to blazing pink without comment. I was sitting with the thought that while I had spent my day absorbed in preparing for, hosting and cleaning up after a memorial service at Maryhouse, my Chicago-area White Rose Catholic Worker friends were participating in a nonviolent uprising that swelled in response to the NATO summit. 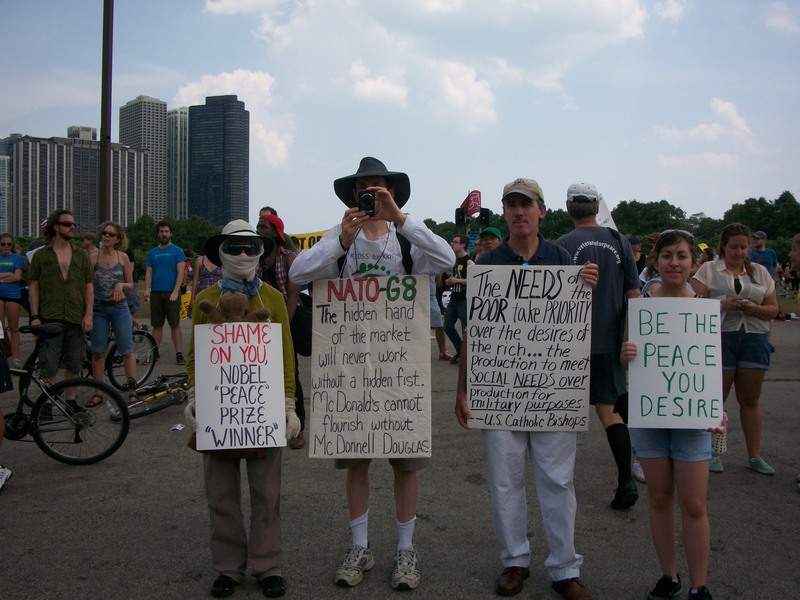 Demonstrators gather during the NATO Summit in Chicago, May 2012. Photo by Julia Walsh, FSPA. These two communities, offshoots from the trunk of one movement, are sustained and shaped by the life and writings of the same woman (the venerable Ms. Day), and have at different times been home and church and classroom to the same woman (the ephemeral Ms. Nee). Yet, to the untrained eye, these sister houses can look almost opposite. White Rose: a half-dozen, highly educated, fair-skinned youths with the occasional overnight guest, all dedicated and devoted to sustainable living, social justice education and nonviolence not only in every action but in every word and expression as well. Maryhouse: twenty-five folks, a majority over fifty years old, of varying color, creed and acumen together in a household that day after day admits dozens of women and offers showers, clothes, a balanced meal and company (not guaranteed to be cheerful, but ever-present, nonetheless). Maryhouse Catholic Worker captured by Julia Walsh, FSPA, during her April 2012 visit. At the former I would spend three hours in a meeting (the results of which would be revisited, rehashed and revised the following week). At the latter I spend three hours folding clothes that the following day will be stashed in bags, tossed on the floor and probably, eventually abandoned on park benches. I often find both tasks more maddening than enlightening. All the same, I consider the time well spent. At the former, each day, we concerned ourselves with the issues of the world – war, torture, environment, oppression of all kinds. And, we sought to educate (ourselves and others), create alternatives and partake in nonviolent demonstrations, open the door to others that we might eat and talk and play and pray together. At the latter we concern ourselves with individuals in our community and neighborhood: the hungry, sick, lonely, weary in innumerable ways. We cook lunches, wash dishes, offer clean clothes and showers, visit hospitals, celebrate and mourn. I am often astounded at how two communities of the same movement could be so different. One might be tempted to compare: which is better? which more successful? which meets the greatest need? These questions, I think, are alluring as forbidden fruit that promises the knowledge of good and evil upon ingestion. The end result, as our first parents demonstrated, is not an answer that reveals truth, but a blade that cuts apart holy wholeness, introduces shame and accusation and ultimately separates the seeker from the Word of Truth, that is to say, Love. “ ‘In the end, the only thing that matters is love,’ those are the last words I ever heard from her mouth,” a woman shares at the memorial for Rita Corbin held at Maryhouse on Sunday. 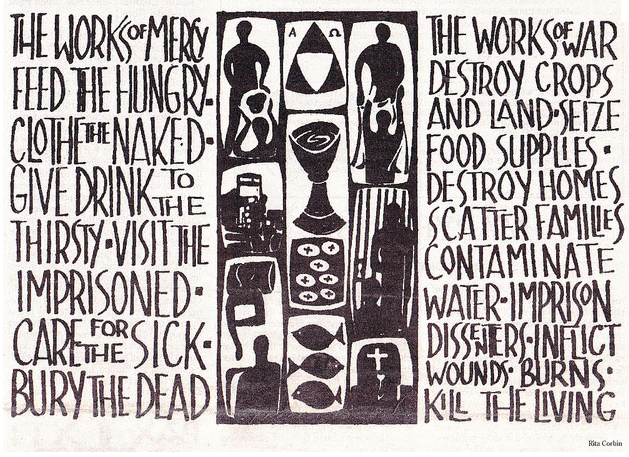 Hers was one of many stories remembering the life of this prolific artist whose woodcuts, since the 1950s, have oft adorned the pages of the Catholic Worker newspaper and whose life infiltrated and enriched far more than just our readers. 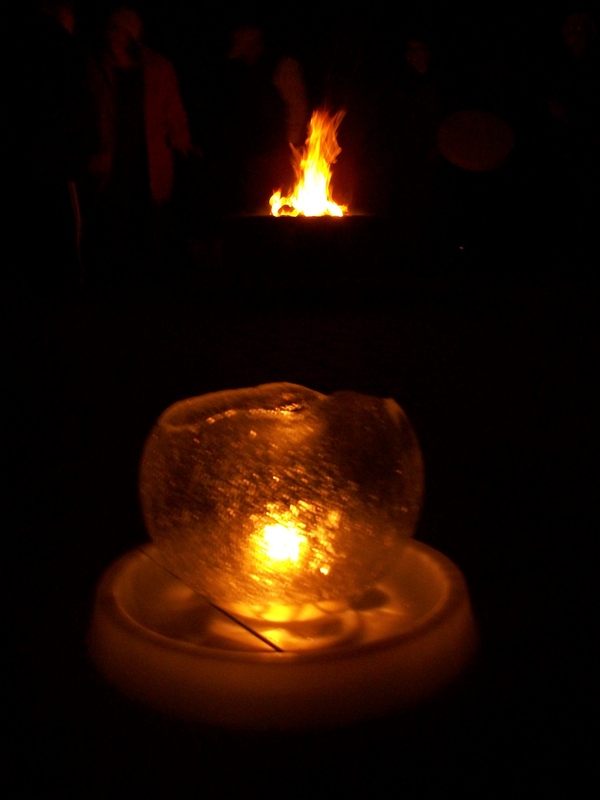 The gathering elicited reflections that evoked both laughter and tears. Rita’s now adult children played folk music. We served coffee and punch and huge platters of fried rice and salad with Wasabi-citrus dressing that had been specially prepared at St. Joe’s for the occasion. I alternately filled and washed plates, introduced the food and myself, listened to reminiscences from Rita’s brother and showed visitors to the bathroom. All the while members of the White Rose, along with thousands of others, marched and sang and maintained a peaceful presence outside (some eventually inside) Obama’s campaign headquarters, amidst an anxious crowd of activists and likely more anxious officers in full riot gear ready to make use of their training and tazers. A critic of one persuasion might consider Maryhouse mundane and trifling, while one of another might consider the White Rose naive and dramatic. Neither assessment is accurate, nor is the assessment that their actions are so very different. Both are engaged in attending to matters of life and of death (which one might argue are themselves part of one whole), both are engaged in practicing, to the best of their ability, the Works of Mercy. These seemingly separate houses seek the same revolution, a revolution of the heart where “stranger” becomes “neighbor” and we learn to love our neighbor as our self; that self that is a divine vessel, bearing the very image of the God who is Love. I have always loved Valentine’s Day. We don’t tell people we love them often enough and it’s our Christian message and way. I love celebrating love and sharing it. Love is pretty much my favorite thing. Because, well, God is totally my favorite thing. Love is God. The union of Love is the force of the holy. Popes write and teach all about it, saints marvel in it, lovers dwell in it. It is the duty of all the Christians to share it. When we love others, we help them to get to know God. I hope that my ministry is all about love. I hope that I provide a loving presence to all who I meet. I pray that all people will really know the power of the greatness of God love- Agape Love– and be made more whole. I hope I help others understand what that means. One of my students randomly approached me recently and asked me to tell him three of my main religious beliefs. It was an really profound and interesting question. I believe so many things so I didn’t really know what to say. The first thing I said, though, is that I believe God is love and when we experience love, we experience God. Love really is the foundation of my faith. The challenge is that love is really hard work. Living the Gospel means we love everyone, no matter what. It means we are willing to care for those who seem most broken, dirty, smelly and diseased. We end up putting our lives on the line, all for the love of God and neighbor. As Dorothy Day showed us, a life of love means we join others in soup lines and joyfully break bread with the hurting, trusting in the healing power of union. As we share, care, create and renew the face of the earth, we build the Kingdom of God.